The third novel in the Ben Cooper and Diane Fry series, now available in paperback in the UK from HarperCollins. "Death in the snow, secrets on ice." It wasn’t the easiest way to commit suicide. Yet Marie Tennent seemed simply to have curled up in the freezing snow on Irontongue Hill and stayed there, until her body was frosted over like a supermarket chicken. Marie was a mystery to her neighbours in Edendale; most of them didn’t even know her name. And certainly no one ever came forward to admit to being the father of her child. But Marie’s wasn’t the only death the police had to deal with that week in January. Not after a group of nosy air cadets came across the baby abandoned under the crumbling wing of Sugar Uncle Victor. And then there was the unidentified dead man dumped by the roadside. According to the postmortem, he had been almost uninjured until the snow plough hit him; and he turned out to be the biggest mystery of all. Detective Sergeant Diane Fry has all three bodies on her hands. With half of its officers skidding their cars on snow-covered roads or slipping on the ice and spraining their backs, ‘E’ Division is desperately short of manpower. So when is Detective Constable Ben Cooper going to come down off that hill and get his gloves off to help with the real work? Fry is having to tolerate DC Gavin Murfin instead. He’s fat and lazy, and he eats curry and chips in her car. He makes Cooper look like a dream. But Ben Cooper has got himself involved in a cold case - and they don’t come any colder than this one. It was an equally bitter winter in 1945 when an RAF Lancaster bomber strayed off course and crashed on Irontongue Hill near the remote Blackbrook Reservoir. Four of the crewmen were killed, but the Canadian pilot walked away and disappeared. Everyone blamed Pilot Officer Danny McTeague - not only for the crash, but also for the unforgivable crime of leaving some of his crew to die in the snow. Now McTeague’s grand-daughter, Alison Morrissey, is in Derbyshire and she’s turning over every stone she can find in her efforts to clear her grandfather’s name. The police can’t spare scarce resources for such a lost cause, but Ben Cooper’s interest has been captured by the story – not to mention by Alison Morrissey herself. A little of his spare time seems easy to give. But this mystery is 57 years old, and there are only three surviving witnesses Ben Cooper can talk to – starting with the bomber’s Polish navigator, Zygmunt Lukasz, whose cousin Klemens died in his arms amid the wreckage. It isn’t the easiest place to start, because these days the old man has withdrawn into himself and is surrounded by the protective barriers erected by his family and other members of Edendale’s tight-knit Polish community. Ben follows a trail from the Lukasz family to a former member of the RAF mountain rescue team and a group of enthusiasts who spend their time restoring World War Two aircraft. The trail only seems to get colder and colder, especially when Ben arrives in the village of Harrop to visit the ice-box of a house where farmworker George Malkin lives. Malkin was an eight-year-old boy when he was taken by his brother to see the crashed bomber, but his memories of the night are clearer than anyone’s - and for a very good reason. 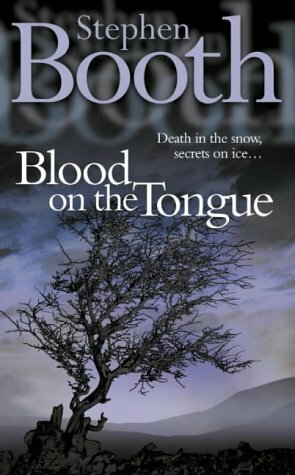 "Booth achieves the most satisfactory fusion yet of those elements which make him distinctive - atmospheric intensity, living landscape, strong central characterisation, all put at the service of a powerful, well plotted story."